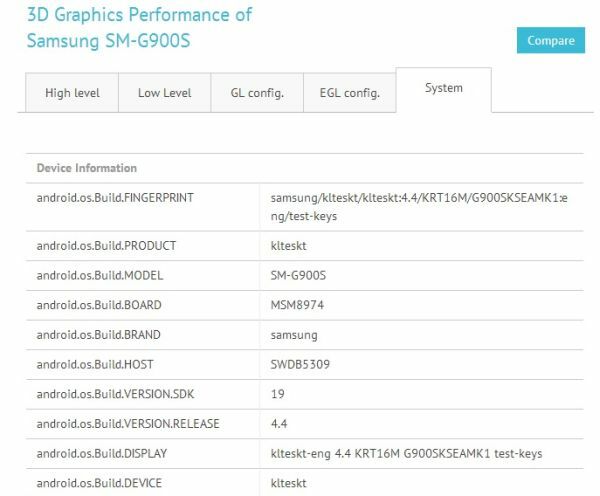 GFX Bench is showing a Samsung SM-G900S smartphone model with a 2560×1440 display and a 2.5 Ghz Snapdragon 800 chip. Such a device, could potentially be the Galaxy S5, which has been rumored to arrive early next year, although not everything makes sense. There have been others rumors that pointed to an ARMv8-based Galaxy S5, some referring to it specifically, while others only saying that Samsung will have such a chip in 2014 (so not necessarily inside the Galaxy S5). The 2.5 Ghz Snapdragon 800 might arrive at a higher clock speed, and have a more powerful Adreno 420 GPU, but it’s definitely not based on the 64-bit ARMv8 architecture. If this is indeed the Galaxy S5, then that could be quite disappointing to some. I wouldn’t recommend a phone with an ARMv7 chip in 2014, if chip support is important to you, because that phone could literally be one of the very last models you’ll see (at the high-end) that aren’t based on ARMv8, making them obsolete pretty quickly (in terms of architecture support, not necessarily performance, as I’m sure it will do quite well in performance benchmarks). If you buy a phone every 6-12 months, then it could be a decent buy, though, but much less so if you’re buying it for 2+ years, and expect it to be supported for a long time (by the ROM community, too). The one thing from this new leak that seems to agree with all previous rumors is the 2560×1440 panel, which even if it won’t draw any more power than the old-gen 1080p panel, because this new display technology is twice as efficient, I’d still prefer they kept the resolution at 1080p, which is more than good enough, and use the new display technology to save battery life, instead. This is really the main reason why battery life of mobile devices doesn’t improve much every after year. We don’t really need bigger and better battery technology (although it would certainly be nice), when the solution is standing right in front of us – just stop adding overkill features that aren’t needed by the vast majority that keep the battery life the same as last year, or force OEM’s to put bigger batteries inside, which then take longer to charge. 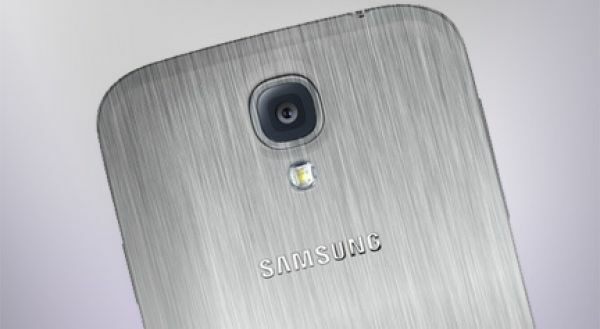 The Galaxy S5 has also been rumored to come with a 16 MP camera, which going by Samsung’s track record in cameras should be great, and one of the best smartphone cameras in 2014, and could even improve after launch, once it’s upgraded to a new version of Android that contains the new low-level camera APIs that Google promised us, although nobody knows if that’s coming in the next version of Android, or after 2 more versions. The post Samsung SM-G900S with a 2560×1440 Panel and 2.5 Ghz Snapdragon 800 Could Be the Galaxy S5 appeared first on AndroidHeadlines.com |.